We may be practically at the end of January, but that’s no need to leave our New Year’s resolutions of getting healthy by the wayside – any time is a good time to jump on the self-improvement train! Brisbane City Council has created a whole bunch of free and low-cost fitness solutions that literally anyone can take advantage of – because your health shouldn’t have a dollar value attached. We’ve tracked down five fitness activities for every type of person – whether you like it slow and steady or sweaty and high-energy, we’ve got you. Considering what a scorching summer we’re having, it makes sense to lead our #fitspo piece with something to cool you off. Swimming is an absolute treat that works your whole body and improves lung function – what’s not to love? Our city has 22 amazing Council swimming pools where you can learn some skills, join a squad or just cruise the lanes at your own pace. Brisbane’s excellent range of facilities will have you whistling a happy tune after you visit. If your New Year’s resolution was to join a gym but you haven’t gotten around to it yet, put down that credit card! 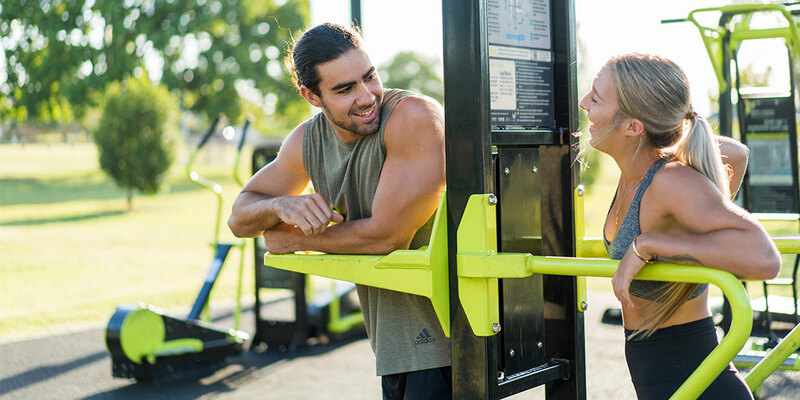 Brisbane is actually teeming with more than 130 outdoor gyms that are free to access at any time – all you have to do is find one close to you. Find a mate for motivation and take advantage of equipment that can aid with chin-ups, crunches and more. Not so self-motivated? Not to worry. If you need a little guidance on your fitness journey, Council offers classes across a huge range of disciplines – with a big chunk of them coming in at the very low price of zero dollars. You can try your hand at everything from cardio and boxing to yoga, strength training and Pilates – plenty of opportunities to give your routine a shake-up. It may not seem like the obvious choice, but golf is a great low-impact way to stay on top of your health – ditch the buggy and get those steps in! You can tee off and get swinging at Council’s St Lucia and Victoria Park golf courses, each of which offer affordable options and have no membership fees. 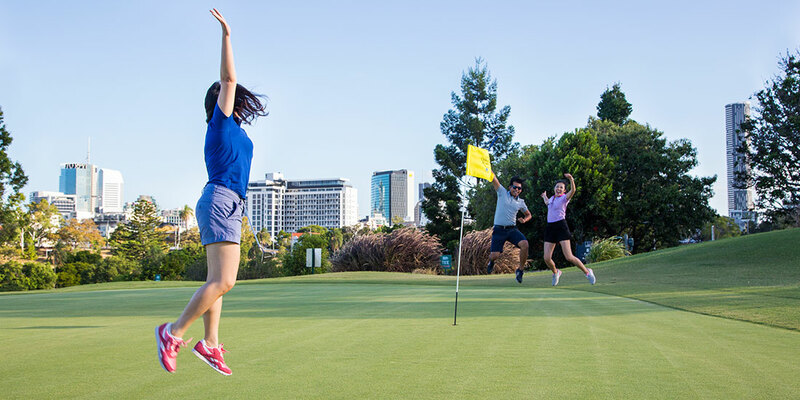 For example, Vic Park’s cheap Tuesdays are a deal you should jump on – just $16.50 will get you a full round of 18 holes. The putt-putt course is also a great way to get the fam together – because who can say no to putt-putt? Looking for a way to keep moving that comes with the added benefit of street cred? Skating and BMX are two activities that will get your heart rate up while actually making you look really cool while you do them. 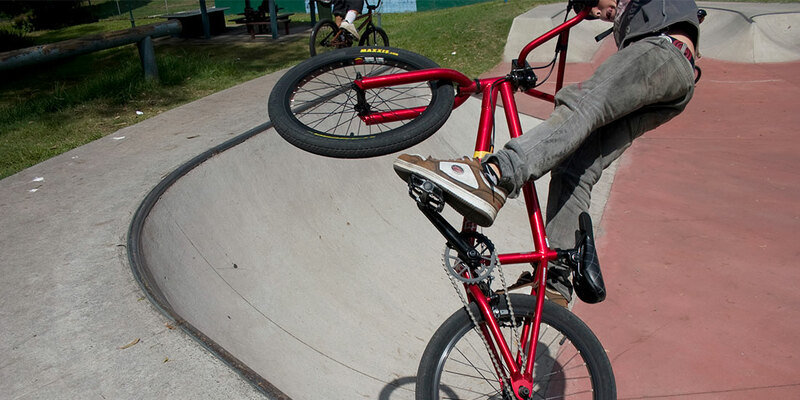 Brisbane has a great selection of local skate and BMX parks to take advantage of, where people from all walks of life are welcome to roll in and have some fun. Hot tip: whether you’ve been popping wheelies for years or you’re just starting out, the massive Bracken Ridge BMX track caters to all skill levels on two wheels. This is just the tip of the iceberg – to read more about everything there is to see and do in Brisbane to keep you feelin’ good, check out the Council website. This piece was made in conjunction with our good friends at Brisbane City Council.